CHILDREN: We would recommend he lives in an adult only home. OTHER DOGS: Introduced correctly he can be around other dogs but he would be best suited to a home as an only dog, he can be reactive to dogs when out on walks. IDEAL HOME: Mushu would be best suited to an adult only home. He will need to be groomed regularly and stimulated mentally and physically so he doesn’t feel the need to make his own entertainment! He suffers from mild separation anxiety, but can be left for up to 4 hours if set up over a course of time. 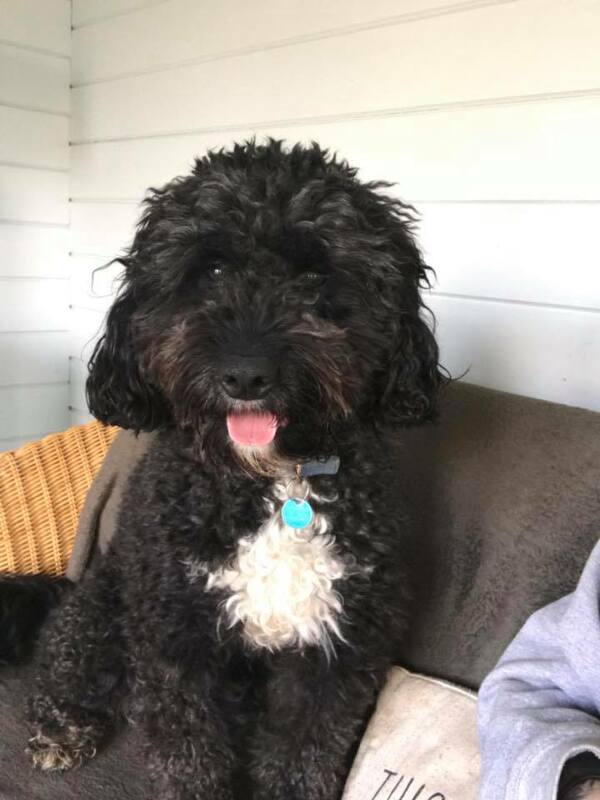 MORE INFORMATION: Mushu is a typical Poodle mix, plenty of energy, very intelligent and very sweet natured. He loves lying on the sofa for snuggles. He is very affectionate and can be very calm in the home if he is around people he knows. He is uncomfortable with visitors to the home if they enter his space and barks when the doorbell rings etc. He likes to hold things in his mouth as a comforter. TRAINING REQUIREMENTS: Mushu has a tendency when he is frustrated on a lead to redirect and chew the lead. This can be because of traffic or a dog he has seen. He will need patience and training to modify his behaviour. He is a super intelligent dog and loves food and toys and he is making progress with us but this would need to be further worked on at home. This is our current assessment, the assessments are ongoing as always, and although we temperament test our dogs in many situations, we cannot know how they be when they arrive in your home, support is given as always be given by the trainer you are matched to.